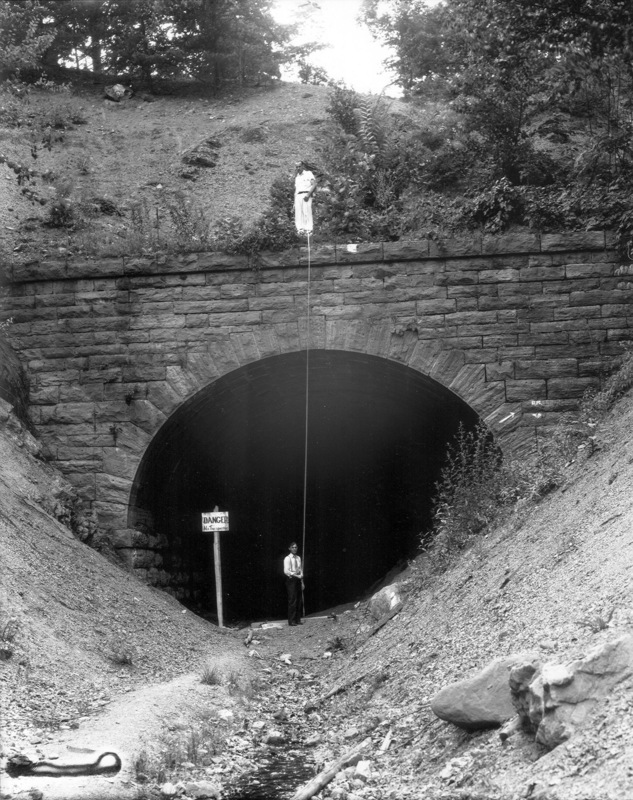 Surveyors at the entrance to the Tuscarora Tunnel, circa 1938. In the 1880s the South Pennsylvania Railroad challenged the Pennsylvania Railroad's monopoly on cross-state transportation. Never completed, the South Penn's road bed and tunnels in the 1930s became the blueprint for the nation's first superhighway, the Pennsylvania Turnpike. Tuscarora Tunnel was one of six uncompleted South Penn tunnels that the Turnpike used.